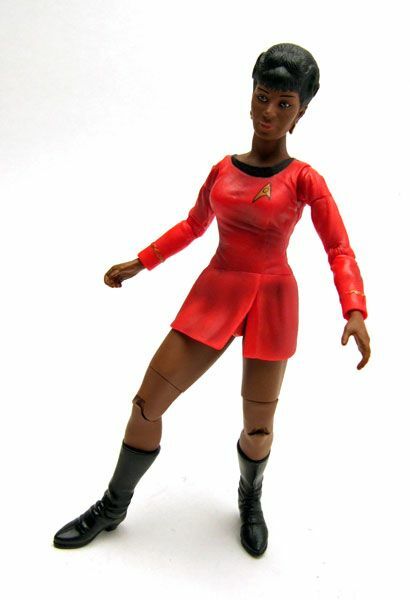 This Lt. Uhura reissue was offered by Diamond Select in a 2-pack with Captain Kirk. 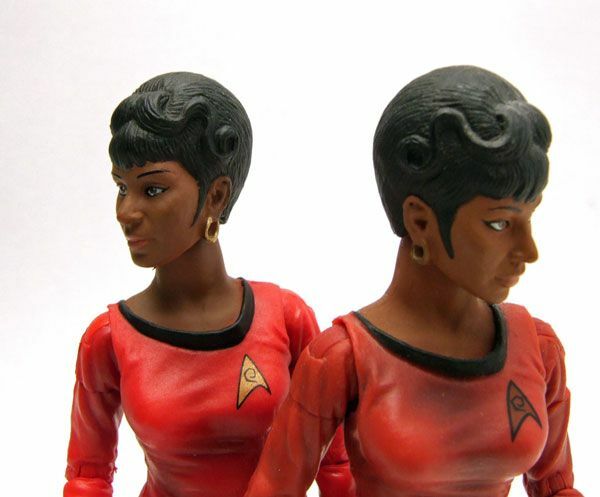 The Rundown: DST has recently been bringing back the original AA-sculpted crew figures for those folks who may have gotten into the game a little late. 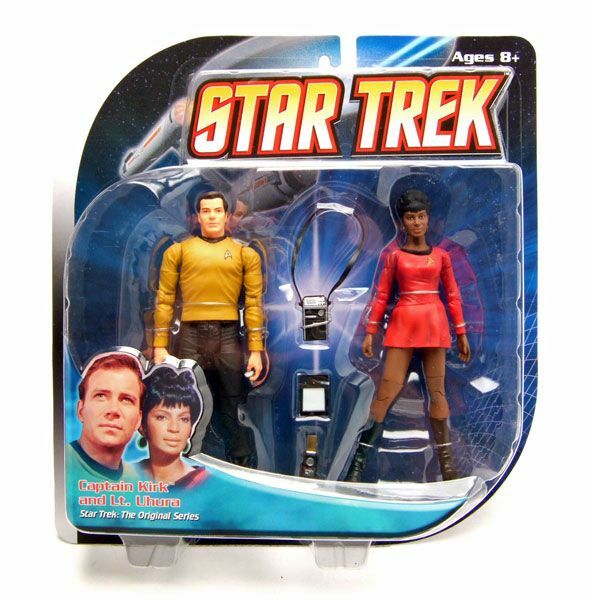 Uhura here hasn't gotten the single-carded reissue treatment yet, but she is currently available in a 2-pack with a yellow-shirted Kirk. 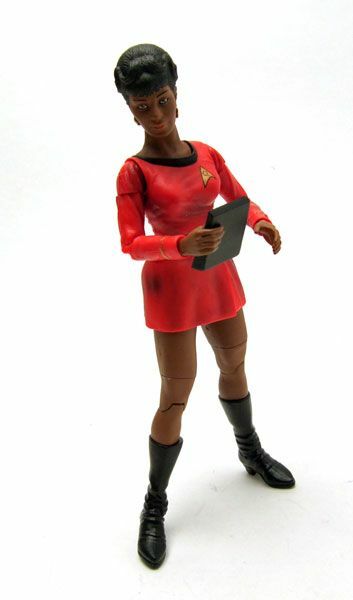 Is she worth snagging? Read on! The sculpt here is identical to the AA release. 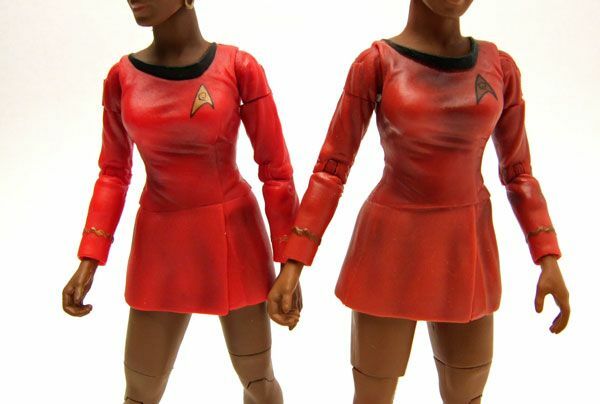 Since we already looked at the original Uhura (which you can go back and check out here), today we'll just take a look at what's different on this version. The head is painted pretty closely to the original. 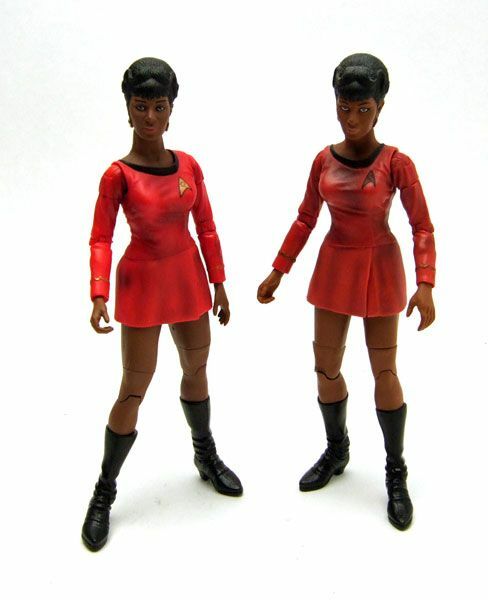 The eyes are a shade darker on the reissue, and the skin tone is maybe just a hint darker as well. The most noticeable change on the head is a much more vibrant gold paint on the earrings. 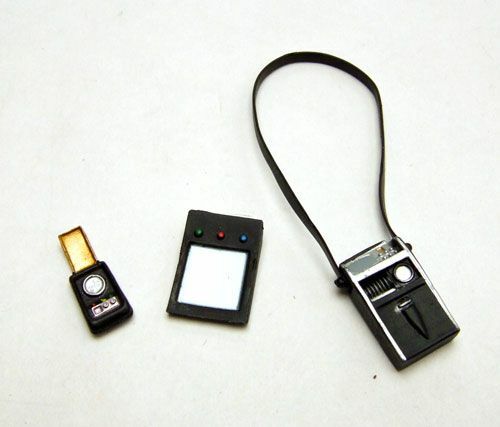 Accessories: Since it's a 2 pack, it's tough to say which accessories are meant for which figure. 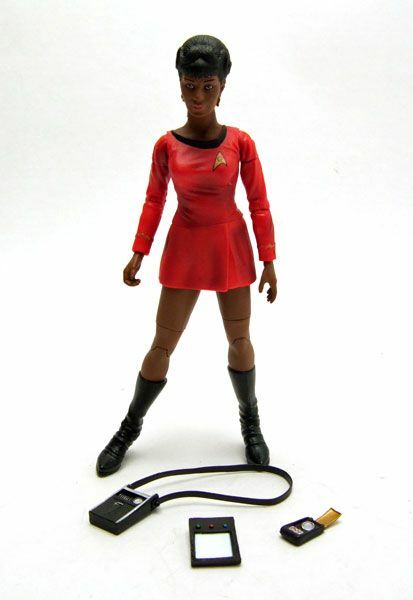 The tricorder, communicator, and padd were closest to Uhura, so I'm assuming those are her items. 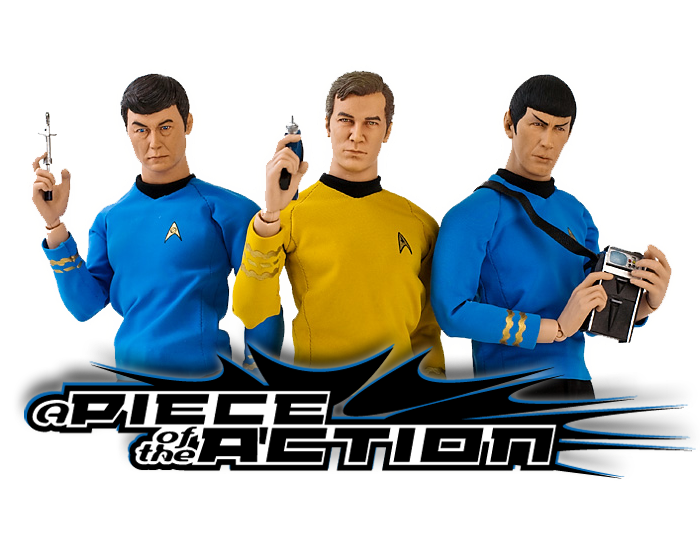 The whole set of of 2-packs is currently on sale over at Big Bad Toystore for a measly $65 and some change (that works out to about $11 per figure... which is a bargain nowadays). 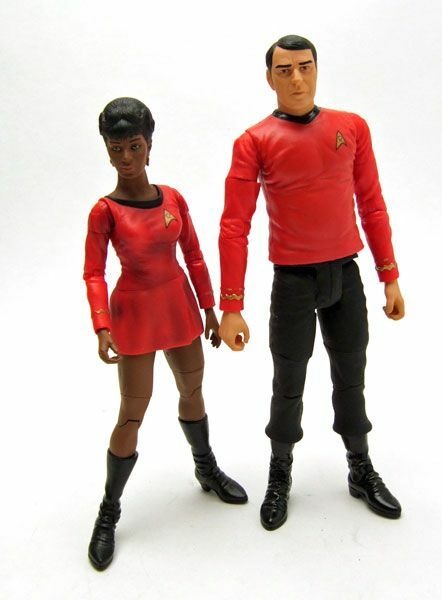 Star Trek 'Potpourri' Spotlight- Nodniks!